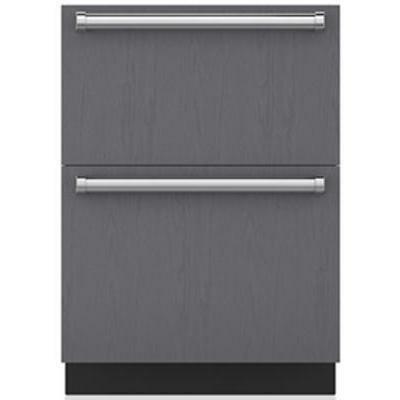 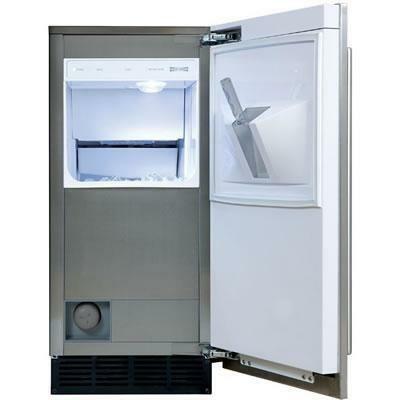 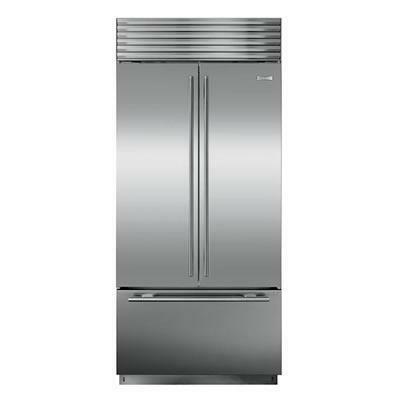 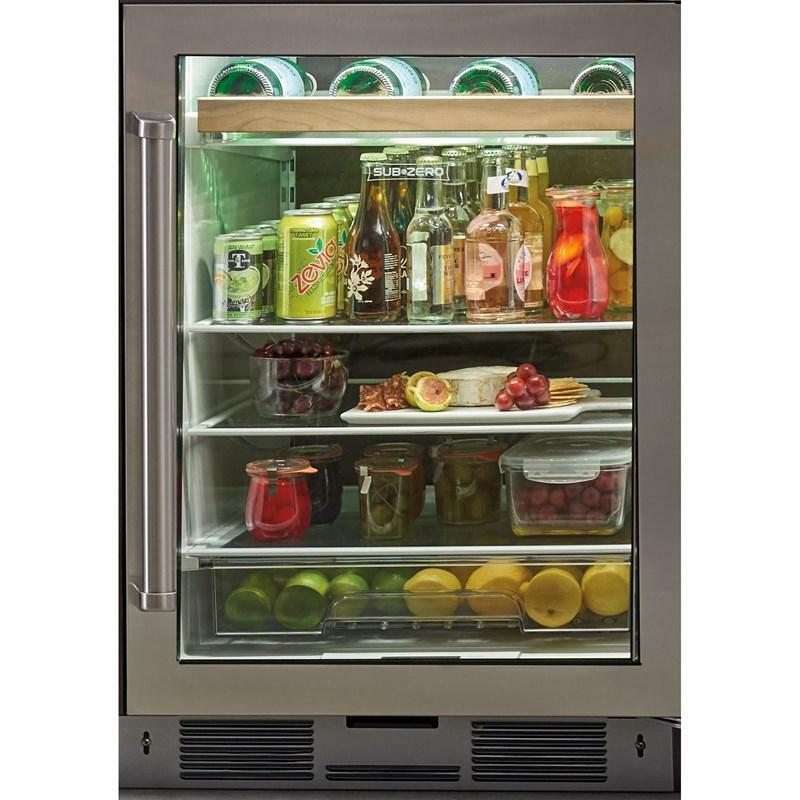 Sub-Zero 36" wide stainless steel door panel with Pro handle with a 6" toe kick for right hinged door swing refrigerators. 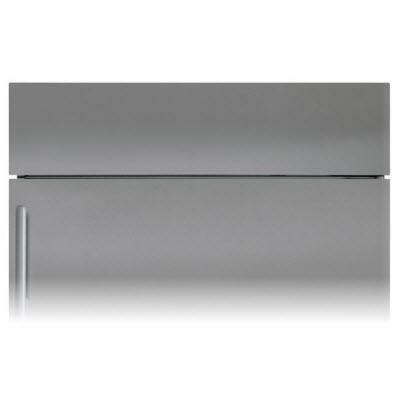 Bulk storage drawer for 24 inches wine storage. 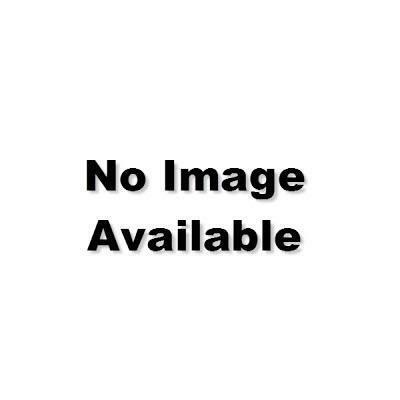 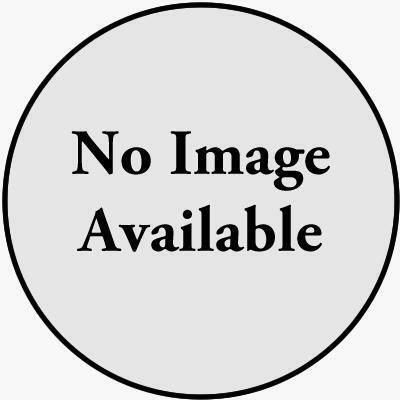 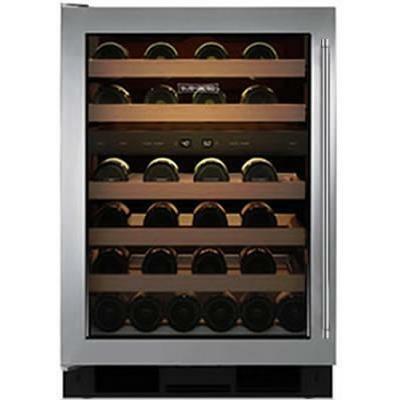 Description: Bulk storage drawer for 24 inches wine storage. 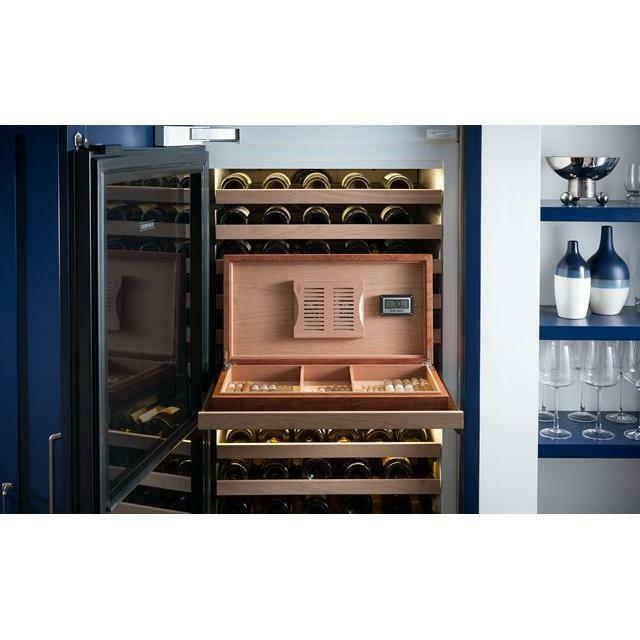 This special drawer easily stores a variety of wines in non-traditional containers, from burgundies and champagnes to taller flutes and imposing magnums. 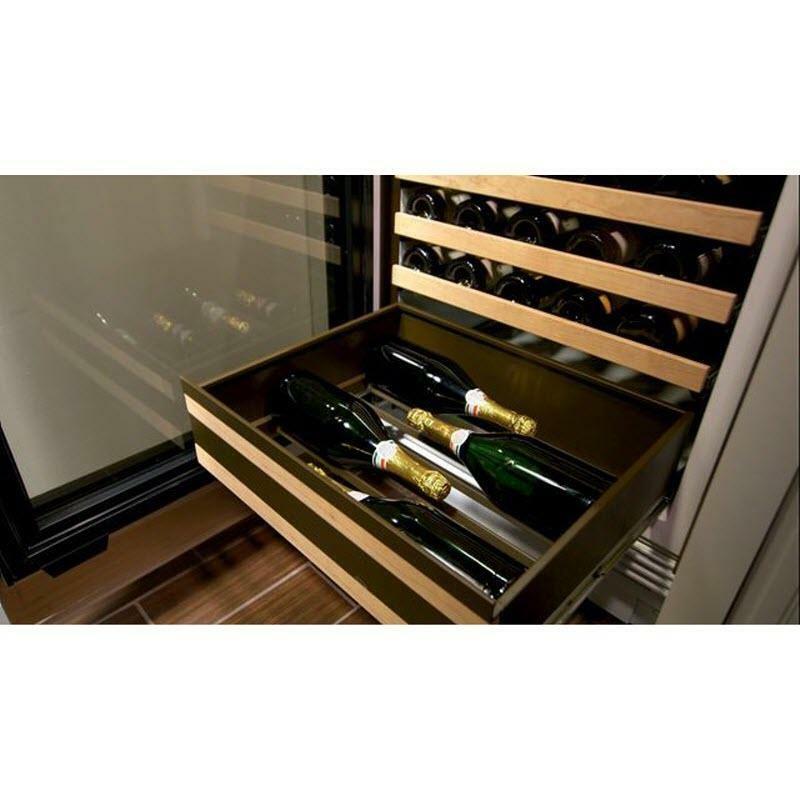 Rustproof metal drawer with cherrywood front, glides in and out easily, providing access without agitating the wine.